The City of Tshwane has limited resources to manage the reserve and specifically to protect their rhino population. They have unfortunately lost three rhino over the last two years (2016 and 2017) due to poaching. Considering groupelephant.com has offices in Pretoria and the urgency of getting involved to secure the lives of the rhino, ERP approached the City of Tshwane to provide support. 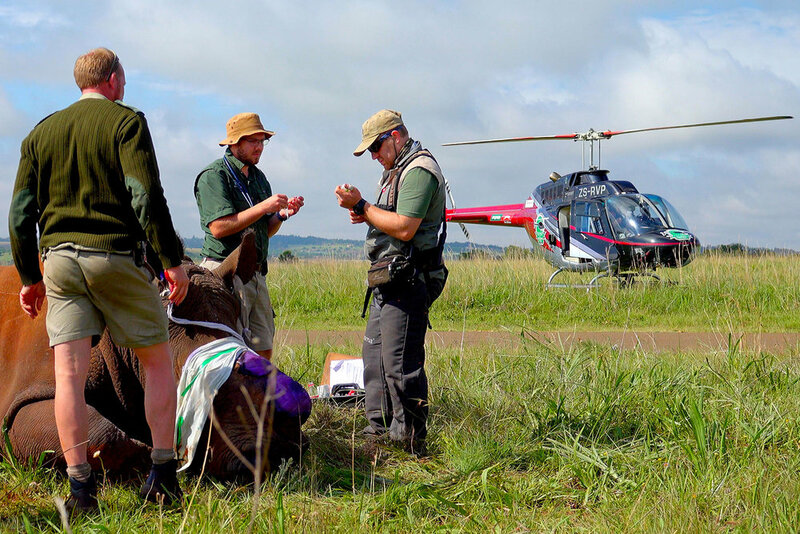 ERP has also engaged with other partners to provide additional solutions for the protection of rhinos in the reserve. The key objective of the Rietvlei programme is to secure the lives of these rhinos on a sustainable basis. ERP is in the process of developing a model where partner organisations, such as bull security can become actively involved in securing these lives. ERP’s role is to act as a catalyst for the project with an aim of soliciting additional investment and support for the reserve. Deployment of additional full-time field rangers in the reserve. We believe that we have been highly effective in stabilising the poaching threat to Rietvlei Nature Reserve. We believe that this reserve could be a very good case study for other anti-poaching projects moving forward. This project is also proving ERP’s ability to effectively partner with government entities in adding significant value to conservation project.